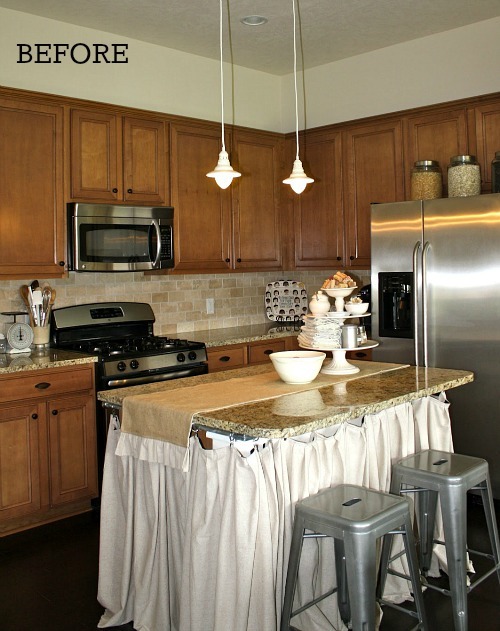 “We love our kitchen because it really reflects our style and how we function in that space. We didn’t let the oh no, it’s brand new stop us!” Visit Tricia’s blog to see more of her beautiful home: The Little Cottage on the Pond. 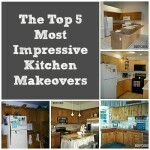 Thanks to Tricia and all the other readers who submitted their kitchens for my contest. To see the other entries I’ve featured so far, visit my Kitchen page. 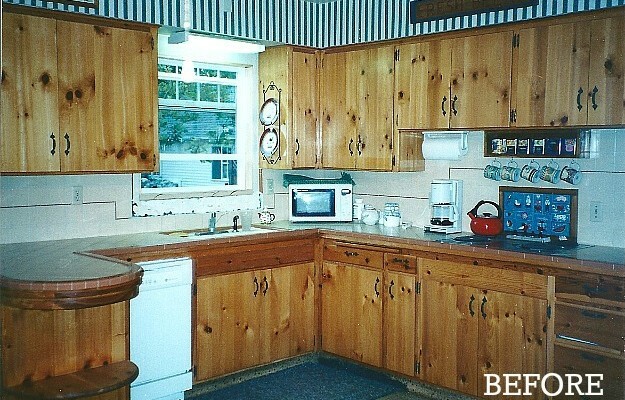 We, too, are creating a cottage kitchen! Beadboard + lots of it! 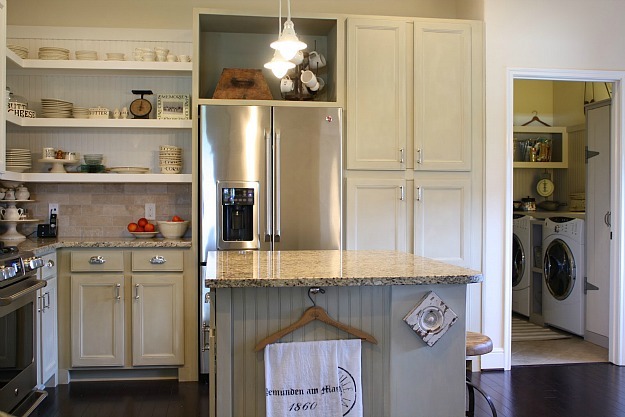 I love the open shelves** in Tricia’s kitchen + leaving the doors off that big cab above the refrigerator. **You-know-who” is obsessed with upper cabs + nixes my shelf dreams. :-X Men! Tricia, did you also redo the laundry room? I love the beadboard you have installed in there. Did you do that yourselves? Kitchen looks beautiful! Wow…. Looks like a whole different kitchen.The open shelving and lighter cabinets makes the kitchen looks so much bigger and airy and really gives it that cottage feel. Nice job Tricia! Nice! 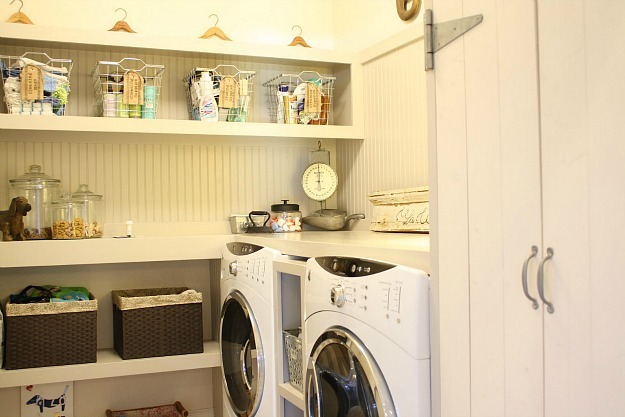 That is the neatest, cleanest, most impeccable laundry room I have ever seen! Nice job! Is that the same granite? It is the same- just looks different with the painted cabinets 🙂 Gotta love the power of paint! 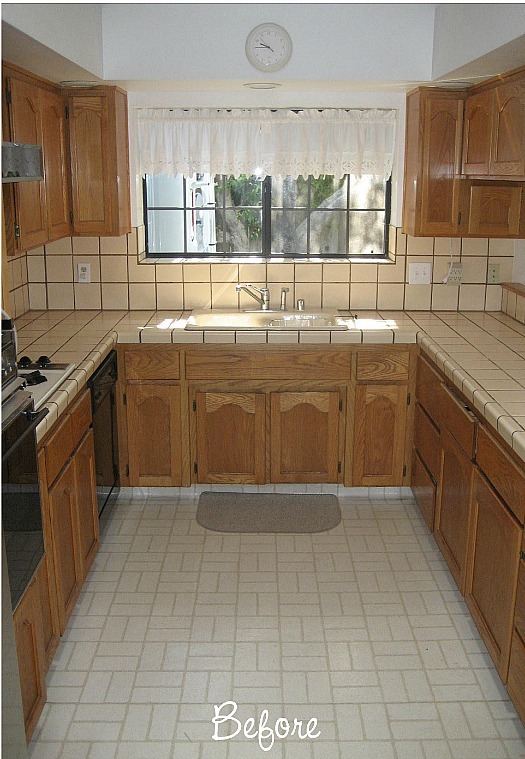 Ok, I have to digress a little and ask about the cabinet in the laundry room, to the right of the W/D… how cute is that? I love the big, barn-y hinges and plank doors! But the whole kitchen/laundry is just fantastic! Very nice transformation! 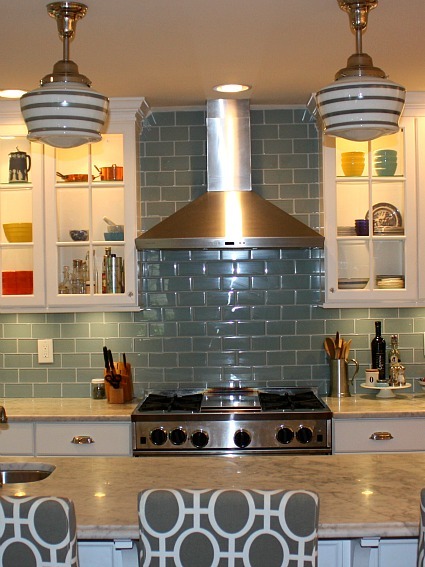 I like the open shelving, the cabinet color, the new stove, and the vintage objects. I’m not usually a granite fan, but it really fits in nicely now. Oh, that’s just about perfect!! And the laundry room 🙂 As someone who values making things tidy over cooking (rather pitiful) – I actually get rather excited about laundry rooms, and that one is nice enough to have guests over! And usually, open shelving makes me a bit apprehensive (that orderly thing….) but Tricia’s are fabulous. Beautiful, beautiful re-do! Thank you so much for posting! 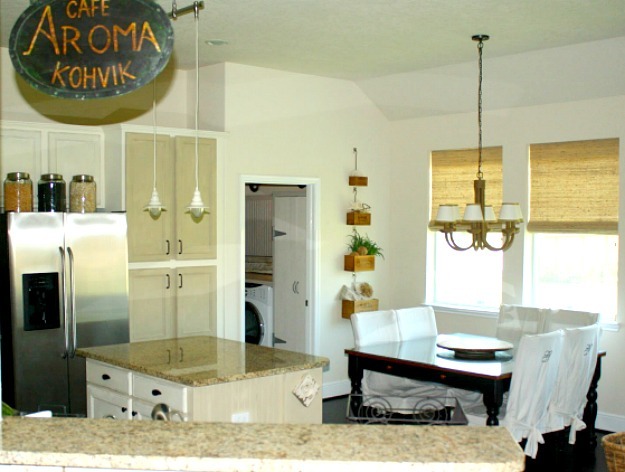 We just bought the same appliances, GE Cafe and loved seeing them in her kitchen. 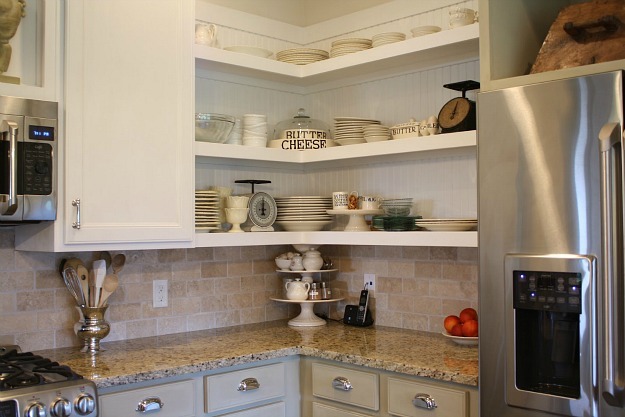 Love the open shelving… great inspiration! What a nice kitchen! 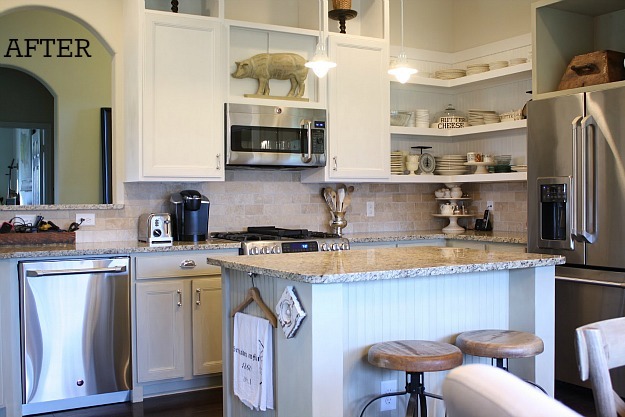 I love the white cabinets and the beadboard island. I love this!! What a transformation! I love beadboard!!! I think Hubs needs to see this one. I’ve been trying to get him on board with a style very similar. Lovely! Love the open shelving & the homespun details. 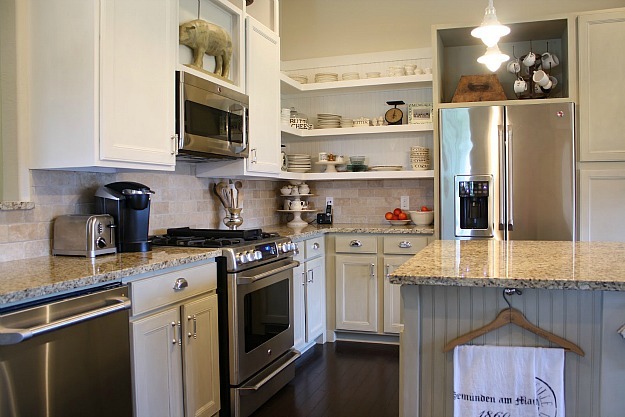 This kitchen is so well thought out & the laundry room is delightful. Lovely rooms. Beautiful, but where is the sink in the kitchen? You did a beautiful job!! WHere did you find that table??!! Luv it! It was from Star Furniture. We have since sold it and replaced it with a French antique table. I updated the post with a photo of the new table. It’s beautiful! 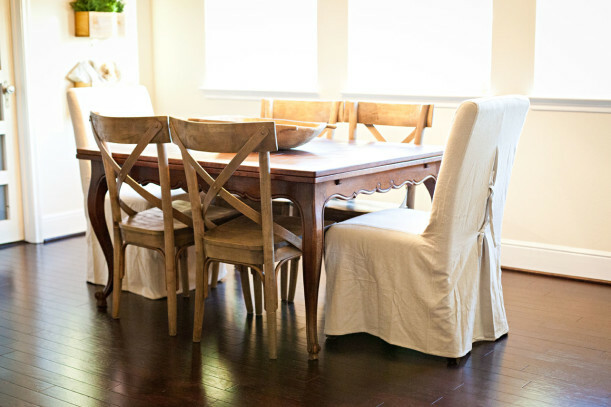 Love the stools! Can I ask where you got them? 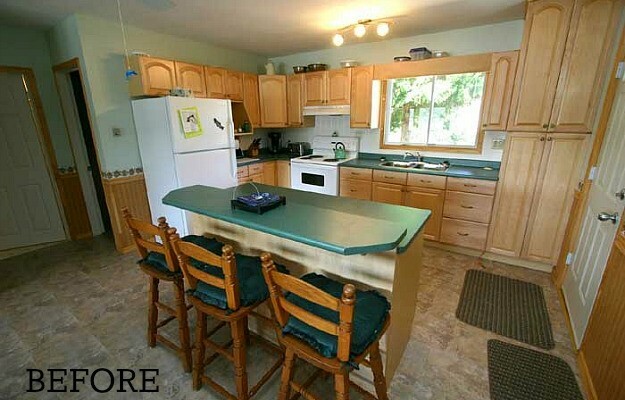 These are some impressive before and after pictures of the kitchen, never imagines that cottages would look that great! i like the before! I dont like open cabinets. dust gets in. are there before pics of the laundry roooom.